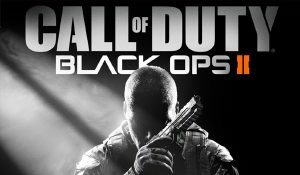 The Call of Duty franchise has always been a money-maker for Activision, and the most recent release is no exception with Call of Duty Black Ops 2 flying off shelves. And while the game will have no problem running a profit, the sales may not be as great as they have been in the past. “Our checks show initial sales of Call of Duty Black Ops 2 at some retailers were down as much as 20%. Subsequently, it appears sales of Call of Duty did pick up a bit over the Thanksgiving holiday. We think the current sales curve suggests unit sales in its first year could ultimately be down 10 to 15% year-over-year. These projections may prove false, but it wouldn’t be surprising if the Call of Duty franchise was starting to lose some steam. Call of Duty Black Ops 2 is the 6thCall of Duty game since the first Modern Warfare. Gamers may be growing tired of the same rehashed formula. Of course, the decrease in sales could also be attributed to other factors. There is stiff competition from Halo 4 which released around the same time. Given the high profile of the Halo franchise, many gamers may have decided to go with Halo 4. The question remains as to whether this will warrant a change to traditional Call of Duty or if it the formula will continue to remain more or less the same.